Pink and red, roses and chocolate – love is in the air! 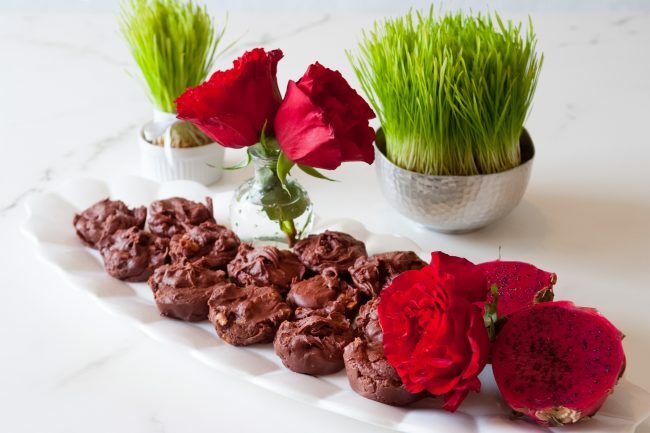 It’s almost Valentine’s Day, and the ladies of the River Road Recipes committee want to show our love for you by helping you plan the perfect Valentine’s Day party for the littlest loves in your life! While our thoughts typically turn to our significant others on Valentine’s Day, Valentine’s Day is a fun holiday for children, too! Pair our snack ideas with fun activities for the kids, like making “mailboxes” out of shoe boxes to receive home-made Valentine’s Day cards from friends or making heart-shaped crayons. Check out some fun craft ideas here! 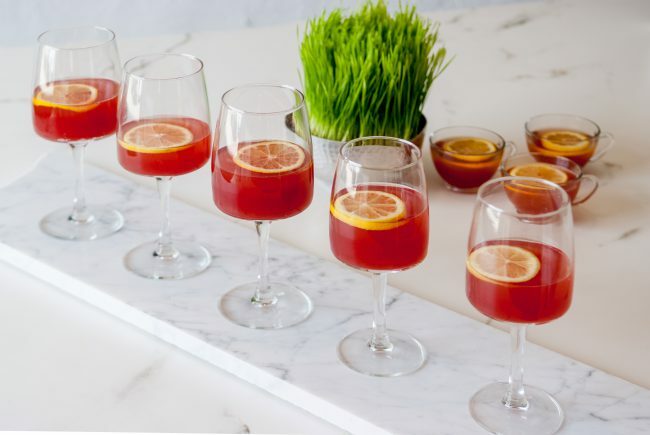 This non-alcoholic punch is the perfect beverage for a kid-friendly Valentine’s Day party. The ginger ale adds a little sparkle, and the cranberries lend a festive hue for the occasion. Crush cranberry sauce in can with fork and empty into saucepan. Beat with rotary beater. Add water and beat until sauce is melted. Add sugar and cool. Stir in lemon juice, extract, and 1 cup ginger ale. Just before serving, dilute with remaining 1/2 ginger ale and serve well iced in frosted glasses. Garnish with mint and clove-studded lemon circles. Serves 12 punch cups. Instead of store-bought candy, try our Chocolate Fudge Turtles from River Road Recipes I! Everyone is guaranteed to enjoy these delectable desserts, and they are made with the most important ingredient of all: love! You can find our easy, step-by-step recipe here! 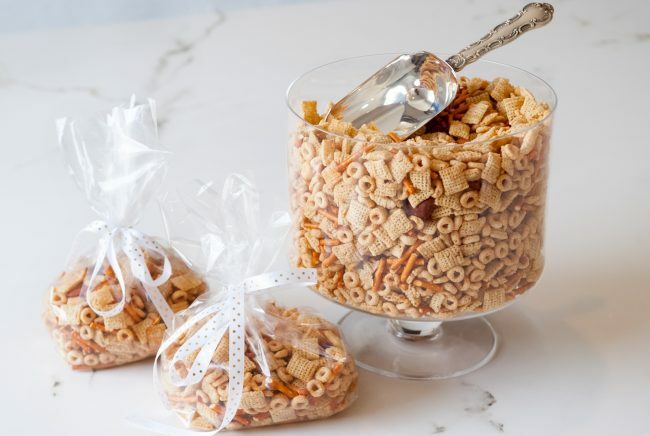 To round out the sweetness, add some salt to your Valentine’s Day party snacks with this simple Party Mix. It’s a perennial favorite for children of all ages. Recipe here! Happy Valentine’s Day from all of us at River Road Recipes!